Here are the notes from our meeting on May 19th. In the news we talked about Apple’s Q2 results, Apple’s focus on 100% renewable energy and the new iPhone (Product) Red. /System/Library/CoreServices/CoreTypes.bundle/Contents/Resources/ and then you Scroll down until you start finding .icns files named “com.apple” followed by the hardware name. Our presentations today were learning a bit more about cookies on our browsers and using extensions in our browsers for safe browsing apps – Firefox, Chrome & Safari. Thanks to those that attended and we look forward to our next meeting on June 16th. We will have our next monthly meeting on Saturday, May 19th from 2:00pm to 4:00pm. Here is a recap of our meeting on April 21st. Thanks to those that attended. We celebrated our 16th birthday at this meeting with a cake! Thanks Virginia for bringing the brownies! We had our first meeting in 2002 at the Dover Public Library. Ransomeware – Which led to conversation on backing up (recommend Carbonite), email phishing and password management (recommend 1Password). We talked about Facebook Privacy and Settings due to the Cambridge Analytica issue. We took a look at downloading your Facebook history and reviewing your settings to see what data is collected. We talked about using the new Files App on your iPad and/or iPhone. Get more details here with the iPad User Guide. We reviewed a few quick tips on using your iPhone – Using Notes, Photo Editing & Siri. We look forward to seeing you at the next meeting in May. More details to come. 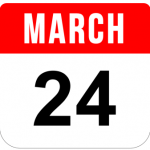 Our next monthly meeting will be held on March 24th from 2:00 to 4:00pm. Our monthly meeting covers Mac OS, iOS, iPhone & iPad, industry news, web site resources , tips & tricks and Q & A. We hold our meetings at the East Central Ohio Educational Service Center at 834 East High Ave in New Philadelphia. Need directions, click here. Announced our annual charitable donation of $250.00 going to the Tuscarawas County Humane Society. We will be a Silver Paw sponsor for their upcoming 10th Annual Cause for Paws event on March 3rd. In other news we talked about Apple’s Q1 Financial Results, the iPhone 7 Repair Program and the MacUpdate Hack. Our presentations were on Apple’s newest product, HomePod, we spent time on Evernote features and showed how to use their Templates and we talked extensively on keyboard shortcuts. Our web page favorites were Radio Garden, Chordify and How Long to Read This. Very cool sites! Thanks to those that attended and we look forward to seeing you for our March meeting on March 24th at 2:00pm.